Two of our New York Personal Injury Attorneys, Anthony Gair and Ben Rubinowitz have been recognized by America’s Top 100 Attorneys as two of the top 100 attorneys, all practices included, in New York State. Membership among America’s Top 100 Attorneys® is meant to identify and highlight the accomplishments of the nation’s most esteemed and skilled attorneys in all areas of practice. 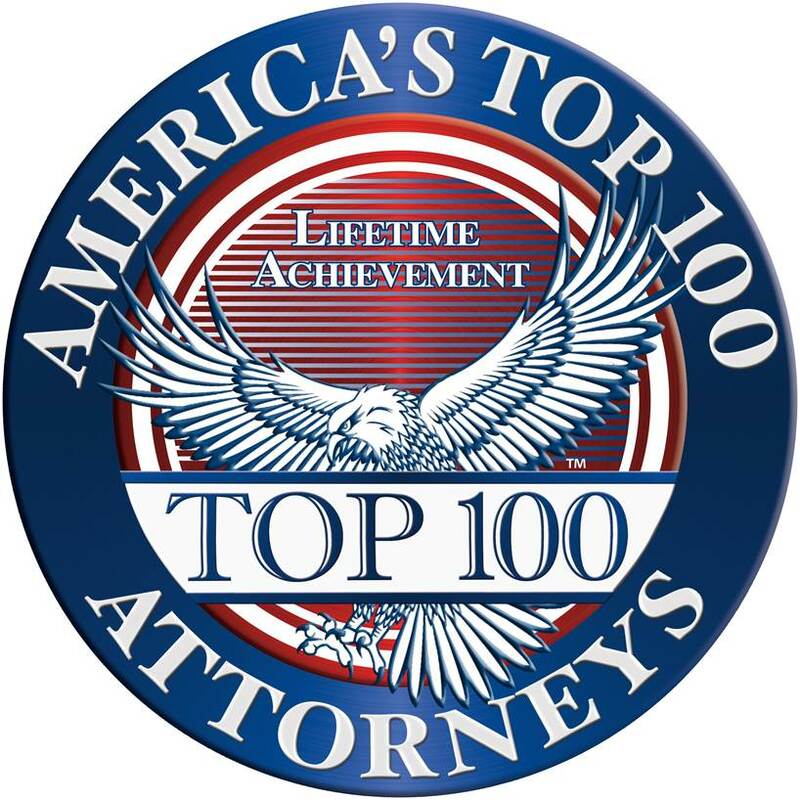 Only 100 attorneys in each state* receive this honor and are selected for membership among America’s Top 100 Attorneys®. While selection for any award, honor, or exclusive membership organization is always subjective in nature, America’s Top 100 Attorneys® have developed a comprehensive multi-phase selection process involving propriety algorithms and Qualitative Comparative Analysis in an effort to help ensure that only the most skilled and exceptional attorneys in the community are selected for membership. 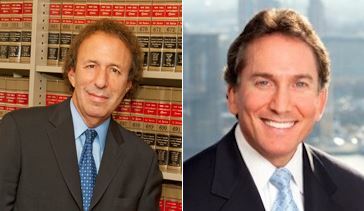 Anthony Gair (left picture) is a senior partner at Gair, Gair, Conason, Rubinowitz, Bloom, Hershenhorn, Steigman & Mackauf. One of the most respected personal injury attorney in New York, Mr Gair specializes in preparing and trying catastrophic personal injury cases such as automobile accidents, bus and truck accidents, construction accidents, medical malpractice and product liability. Mr Gair enjoys a national reputation in the area of civil rights litigation. In one of his most notable cases he represented the family of Amadou Diallo who was shot 19 times by NYPD officers. The city of New York agreed to pay $3 million to the family of Amadou Diallo. This amount was at the time the largest amount that has ever been paid by the city of New Yor k in a wrongful-death action for the death of a single individual with no dependents and minimal earnings. Mr Gair was the 2006 recipient of the prestigious New York State Trial Lawyers’ Civil Justice Honor Award. Mr Gair is also recognized as one of the top product liability attorneys in the country and was named 2011 Lawyer of the Year, Product Liability Litigation – Plaintiffs, New York City Area by Best Lawyers. An expert in construction accident litigation, Tony Gair also lectures extensively on this area. Ben Rubinowitz (right picture) is the managing partner at Gair, Gair, Conason, Rubinowitz, Bloom, Hershenhorn, Steigman & Mackauf. A meticulous and skilled trial lawyer, Mr Rubinowitz has been recognized as one of the top Personal Injury Attorneys in the country and has received numerous awards. A day ago he was recognized for the third time as “Attorney of the Year” by “Best Lawyers”. Recently Melissa Rivers, Joan Rivers daughter chose Ben Rubinowitz and Jeff Bloom, another of our senior partners to to sue the doctors and the clinic for medical malpractice over the death of her mother. Ben and Jeff reached a major but confidential settlement for the case. Mr. Rubinowitz’s experience and legal acumen is also sought out outside of the courtroom. Not only does Mr Rubinowitz regularly write about trial advocacy (he is the a co-author of a column in the New York Law Journal) but he is also a highly recognized trial advocacy teacher. For the past five years he has chaired the prestigious “Masters of the Art of Trial Advocacy Program” sponsored by the New York State Trial Lawyers Association. Mr. Rubinowitz is also member of the exclusive Inner Circle of Advocates, The International Academy of Trial Lawyers, a Director of the New York State Trial Lawyers Association and a Past President of the New York Chapter of the American Board of Trial Advocates. Our partner Anthony Gair was invited by the New York State Bar Association to speak at their seminar LITIGATING THE PRODUCTS LIABILITY CASE: LAW AND PRACTICE in New York City on October 24th. This is a video from his presentation. If you would like to see the complete program (with different speakers) a live webcast option will be available on Friday November 1st 2013 for the Albany Program. Click here for more info. Our Partner, Anthony Gair will be speaking at LITIGATING THE PRODUCTS LIABILITY CASE: LAW AND PRACTICE NYC seminar presented by the New York State Bar Association. The Chair of the Seminar is Dennis J. Brady, Esq. a Partner at the preeminent New York defense firm, Goldberg Segalla LLP. The Seminar will be held on Thursday, October 24, 2013 from 9:00 AM – 5:00 PM at The Holiday Inn Manhattan 440 W. 57th Street New York, NY 10019. The Agenda for the Seminar is below.